During the pre-implantation period the conceptus is small and receives all the nutrients and gases it requires by simple diffusion from the surrounding fluid. Any waste products it generates diffuse out in the opposite direction. During implantation, the conceptus seems to derive some nutrition by breaking down the endometrial cells in its path and absorbing the breakdown products. When implantation is complete, the outer layer of the trophoblast - the syncytiotrophoblast - is in close relationship with maternal tissues and, more especially, maternal blood. From this time on, up until birth, the embryo and fetus will obtain its requirements from the maternal blood, and dispose of waste products into the maternal blood. This exchange between the fetal blood stream and the maternal blood stream occurs at the placenta. After the second week of development, the embryo has grown too large for all regions to receive what they require by simple diffusion through the trophoblast. During the third week, the circulatory system - the embryonic heart and blood vessels - begins to develop, and during the 4th week the heart begins to beat and pump blood through the system. The heart is the first embryonic organ to become functional, and it must continue to beat effectively, even though its own development is far from complete at this stage. 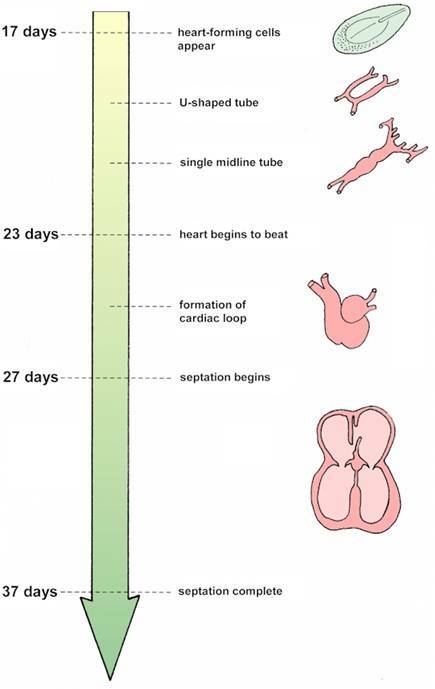 First, look at the diagram below to appreciate the time scale of heart development. There is no need at this stage to memorize the exact timings of embryological events - these can always be looked up if needed. It is usually sufficient to remember that the period of intense morphogenesis for most organs and systems is the embryonic period, weeks 2 to 8. However, given that the heart is such an important part of the embryo, and given that abnormalities of the cardiovascular system are important from a practical point of view, it is well worth studying heart development with extra care. Another tip - focus most of your attention on the process of septation: the heart defects seen at birth most commonly stem from errors in this process. tube becomes looped and then subdivided into 4 chambers. As you follow development of the heart, note how the pericardial cavity develops in relation to it. 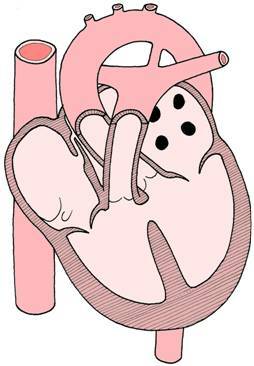 The pericardial cavity is formed from the most cranial part of the intra-embryonic coelom. You will see that the heart develops in splanchnic mesoderm with the cavity initially dorsal to it. Observe the changes in this relationship as the embryo folds. Try and work out why it is that the visceral pericardium has a different nerve supply from the parietal pericardium. 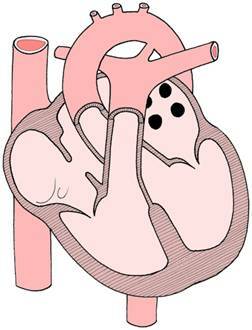 Heart tube - developing within the pericardial cavity (blue). and the arteries leaving the cranial end. is initially located caudally, but gradually moves cranially. The next chamber, the ventricle, moves more caudally. before leaving the heart into the arterial system. Septation dividing the chambers into left and right parts. foramen ovale as they do so. will form the muscular part of the interventricular septum. How many days does it take the heart-forming cells to establish a 4-chambered heart? During which weeks of development does septation of the heart occur? What causes the midline heart tube to buckle and form the cardiac ‘loop'? 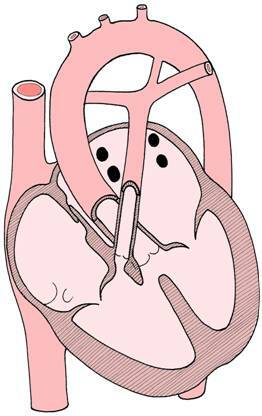 What is the name given to the one-way valve in the pre-natal interatrial septum. What happens to this structure after birth? What portion of the heart receives returning venous blood? Describe the formation of the membranous part of the interventricular septum. What does the spiral septum subdivide? What structures are formed by this means? How is the pericardial sac formed? Development of the heart can become abnormal at any stage. However, if a fault arises in one of its earliest stages of development, the consequences are severe and the embryo is likely to die, since it cannot survive without an efficient transport system. Abnormalities which arise later - particularly during the process of septation - are usually compatible with prenatal life, and are therefore more frequently encountered in newborn babies. Remember that birth defects of the cardiovascular system form a significant proportion of the clinical problems associated with the neonatal period. Although errors of septation may not be life-threatening before birth, their harmful effects tend to become much more pronounced after birth, and surgical intervention may be required. The examples that follow are predominantly septal defects (read about other types of heart abnormality such as ectopia cordis and dextrocardia in your textbooks). 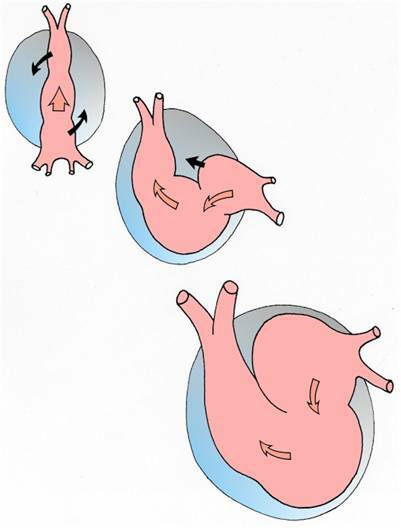 For each example, note the location of the abnormality (or abnormalities) in the heart, and then try to work out an embryological explanation of how the error(s) arose. Later, when you have learned more about the major blood vessels and the pattern of blood flow before and after birth, come back to these cardiac abnormalities again and try to work out what the consequences might be for the baby, before and after birth. between the right atrium and left atrium. between the atria after birth. between the left and right ventricles. exits from the left ventricle. driven by the left and right sides of the heart. and hypertrophy of the right ventricle. What is probe patency of the foramen ovale? In which part of the interventricular septum are defects most commonly found? What would be the effect of such an abnormality? What is meant by tricuspid atresia? What pattern of defects might you expect if the endocardial cushions fail to fuse? Can you name a viral infection that might cause cardiac defects if the mother is infected during the first trimester? paired umbilical veins returning from the trophoblast. and the developing placenta (lower right). Note the embryonic heart - identify the main blood vessels. and becomes divided into 4 chambers. Which arteries supply the yolk sac? Describe development of the right subclavian artery. 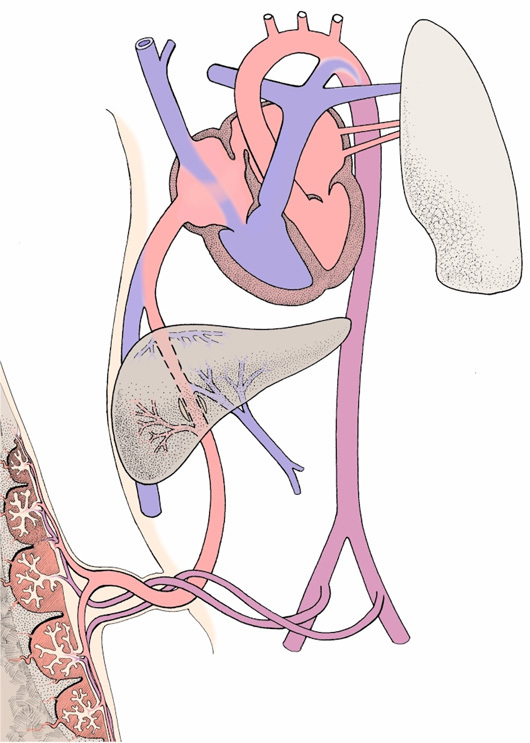 From what does the ductus arteriosus develop? What does it connect? What does it become after birth? What is meant by coarctation of the aorta? If this lesion is situated distal to the ductus arteriosus, what changes might you observe in the pattern of blood flow to the lower part of the body? 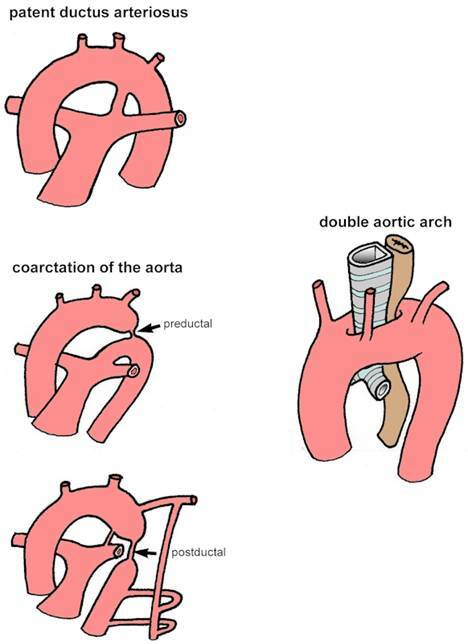 Which structures may be constricted by a double aortic arch? Which aortic arches in the embryo are sometimes called the pulmonary arches? It is quite ‘normal' to find that veins show considerable variation - between sides of the same body and between people. These differences are usually of little clinical significance. The venous system operates at a lower pressure than the arterial system, and like the meandering course of a slow-moving river, veins sometimes follow irregular courses back to the heart. This is especially true of superficial veins. However, even with this variation, the basic pattern is usually recognisable. 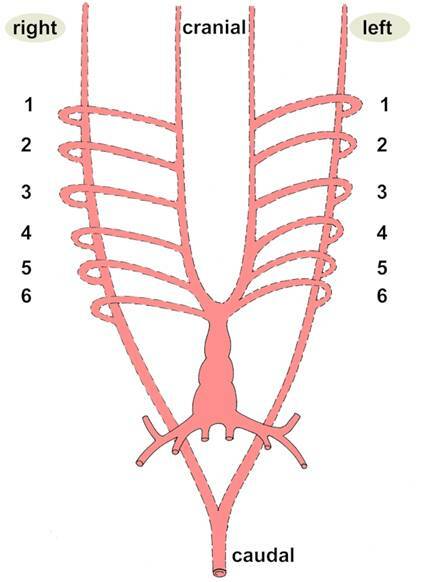 When studying the embryological development of the veins, do not become 'bogged down' with details. 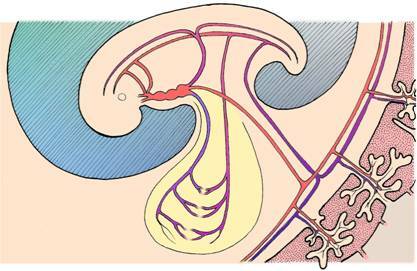 It is however helpful to note the general trend towards the right side: blood returning to the heart from the placental and systemic circulations is channelled in increasing quantities to the right horn of the sinus venosus. A major factor in this change is the development and rapid enlargement of the liver just caudal to the heart, where the great veins pass through the septum transversum. The only significant exception to this right-hand rule in seen in the retention of only one of the originally paired umbilical veins - it is the left umbilical vein which is retained! 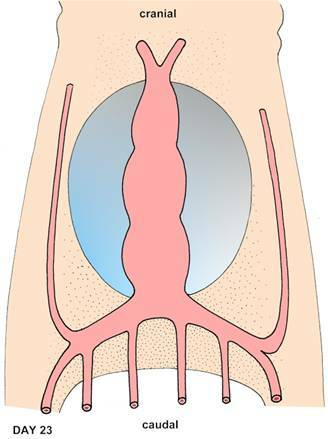 The pulmonary veins are derived from an outgrowth from the atrium of the initial heart tube. This outgrowth branches in relation to the developing lung buds. return oxygenated blood from the placenta. What becomes of the left horn of the sinus venosus? 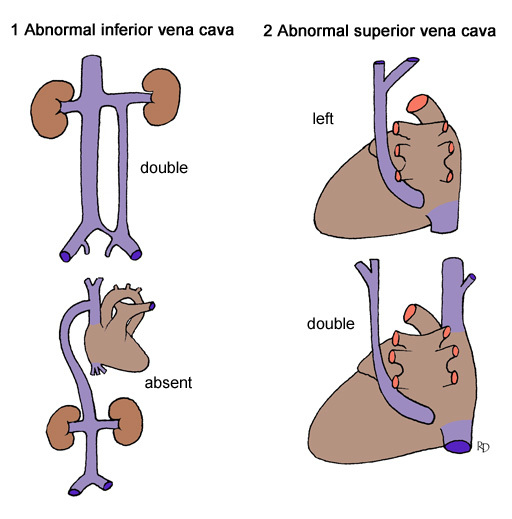 How is the inferior vena cava formed? What effect does development of the liver have on veins passing through the septum transversum? Describe the ductus venosus. Does it carry oxygenated blood or deoxygenated blood? Which vessels pass through the fetal umbilical cord? Do the vitelline veins contribute to the formation of any important veins in the body? 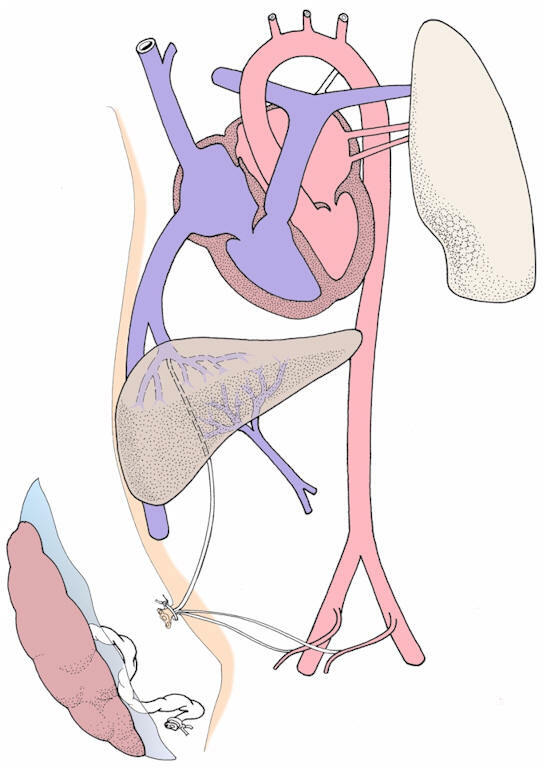 Into which structure would an abnormal left superior vena cava drain? At birth, the baby begins to breath, the placental circulation closes down, and the three prenatal ‘shunts' are obliterated. Why is it best to wait for a few minutes after the baby is delivered before tying and cutting the umbilical cord? 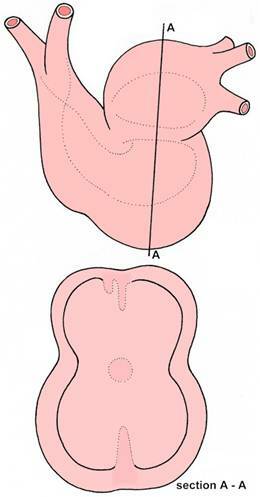 What is the function of the foramen ovale before birth? In the adult heart, where is the fossa ovalis situated? 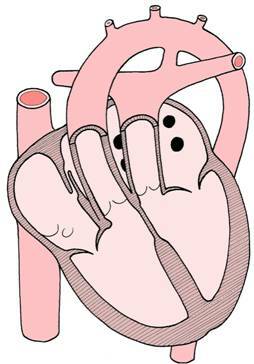 What is thought to initiate closure of the ductus arteriosus? What causes a lowering of pulmonary resistance to blood flow after birth?